Blue Rider Press, 9780399158537, 403pp. Since its debut in 1952, the book has been frequently revised, and with each revision, the official” view on which psychological problems constitute mental illness. Homosexuality, for instance, was a mental illness until 1973, and Asperger’s gained recognition in 1994 only to see its status challenged nearly twenty years later. Each revision has created controversy, but the DSM-5, the newest iteration, has shaken psychiatry to its foundations. The APA has taken fire from patients, mental health practitioners, and former members for extending the reach of psychiatry into daily life by encouraging doctors to diagnose more illnesses and prescribe more therapiesoften medications whose efficacy is unknown and whose side effects are severe. Criticsincluding Greenbergargue that the APA should not have the naming rights to psychological pain or to the hundreds of millions of dollars the organization earns, especially when even the DSM’s staunchest defenders acknowledge that the disorders listed in the book are not real illnesses. 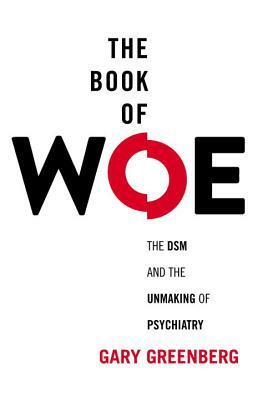 Greenberg’s account of the history behind the DSM, which has grown from pamphlet-sized to encyclopedic since it was first published, and his behind-the-scenes reporting of the deeply flawed process by which the DSM-5 has been revised, is both riveting and disturbing. Anyone who has received a diagnosis of mental disorder, filed a claim with an insurer, or just wondered whether daily troubles qualify as true illness should know how the DSM turns suffering into a commodity, and the APA into its own biggest beneficiary. Invaluable and informative, The Book of Woe is bound to spark intense debate among expert and casual readers alike. Gary Greenberg is a practicing psychotherapist and author of "Manufacturing Depression "and "The Noble Lie." He has written about the intersection of science, politics, and ethics for many publications, including "The New Yorker, Wired, Discover, "and "Rolling Stone." He is a contributor at "Mother Jones," and a contributing editor at "Harper's. "Dr. Greenberg lives with his family in Connecticut.